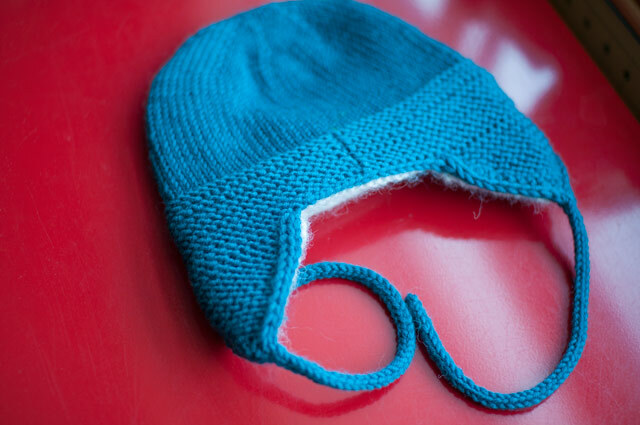 I knit something I can actually share with you! 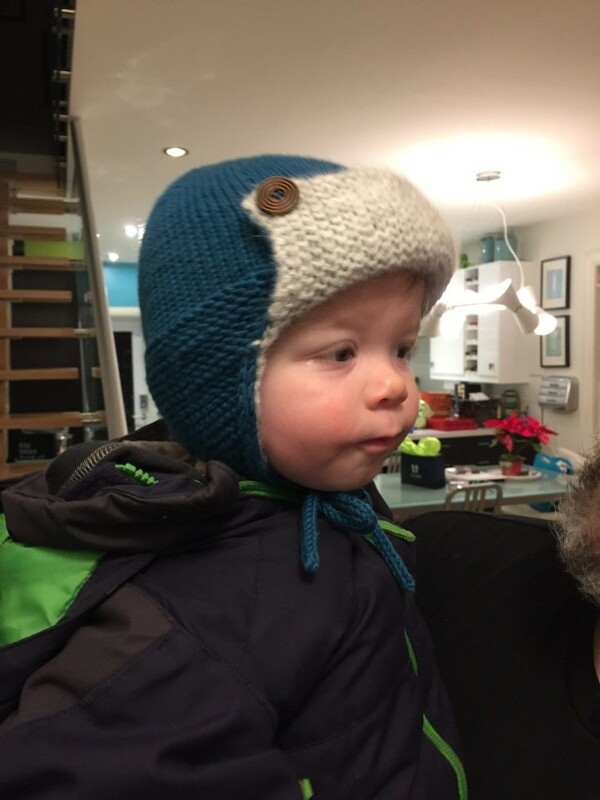 I made up this trapper-style hat for a special baby-friend, in a very un-trapperish teal. 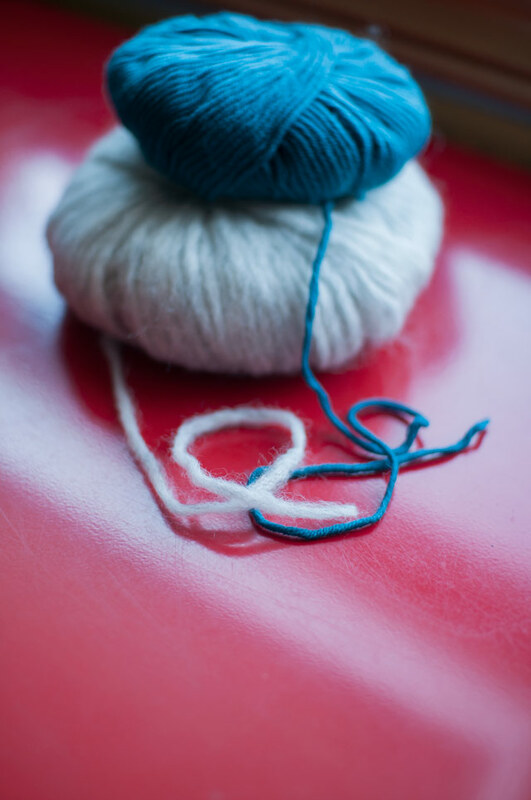 The outer yarn is Cascade Longwood, a multi-plied superwash merino, and the lining is Drops Air! I really wanted something fluffy, soft, and warm – and not synthetic. Air is a “blow” yarn of baby alpaca and merino. I worked from the top down, so the flaps are all seamless. The front flap has functional buttons, unlike a lot of patterns I looked at (the front flap is usually just sewn down) – I don’t really expect it’ll be undone very often, but just in case! 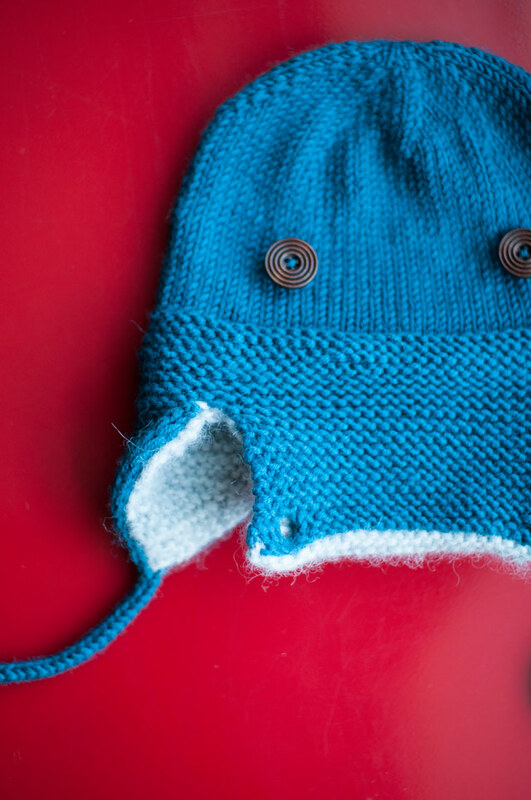 The earflaps are also lined, and the lining extends up a bit into the body of the hat for extra warmth! 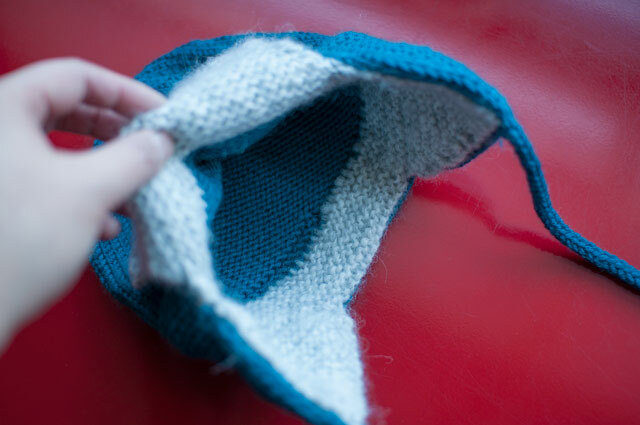 I did end up sewing the edges of the lining to the edges of the earflaps, so it wasn’t completely seamless. Ready for the adorable modelled shots? Check out my project on Ravelry. 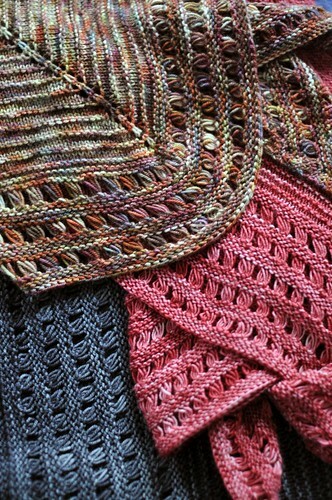 Oh, and I have new patterns up today with Swans Island (on Ravelry). Check out their Spring 2016 washable wool kids collection – I designed the Riptide Hoodie, Mermaid Cardigan, and Schooner Dress. More on those projects in a few! 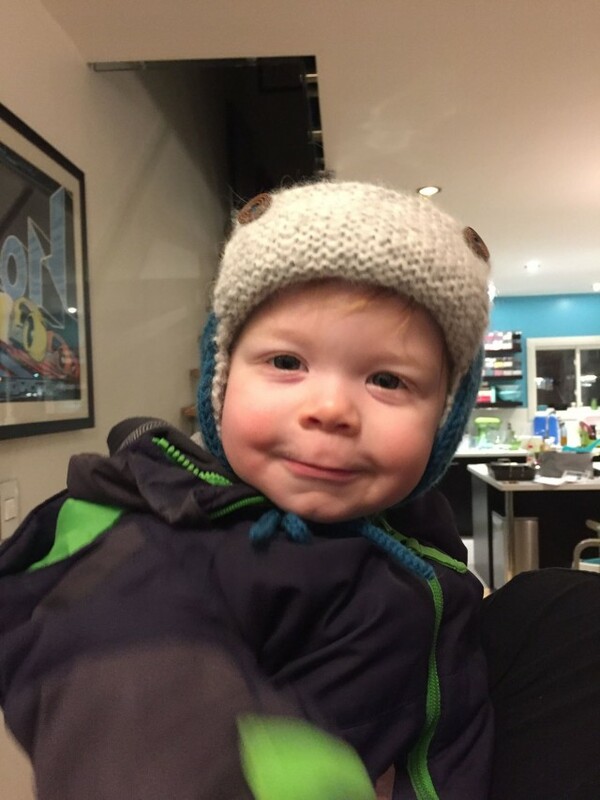 Quite the adorable hat. I suspect the reason most similar hats don’t have functional buttons is because they are considered a choking hazard. Not entirely sure how the child would get hold of them and chew them loose (if they were well attached), but just thought I would mention it. Love the shades of teal! Oh my heart – so cute!!! I saw the Riptide Hoodie on Ravelry today and it jumped in my cart! I love it. 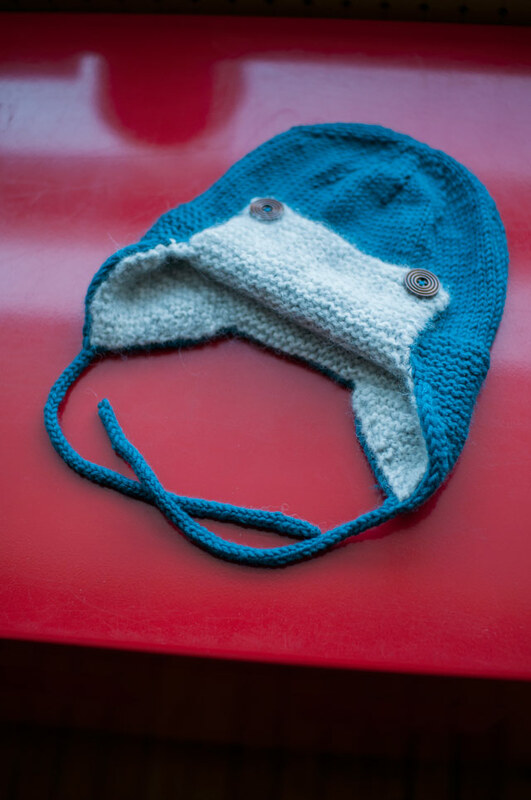 I hope to convince one of my kids (I have an 8yo daughter and a son who will be 10 in a couple weeks) that they need one because I really want to knit it. If you design a grown-up version I’ll be all over it! And that hat is so adorable. Perfect for Canadian winter, I bet! I love that hat. My little boy is 2, so he expresses his opinion a lot. 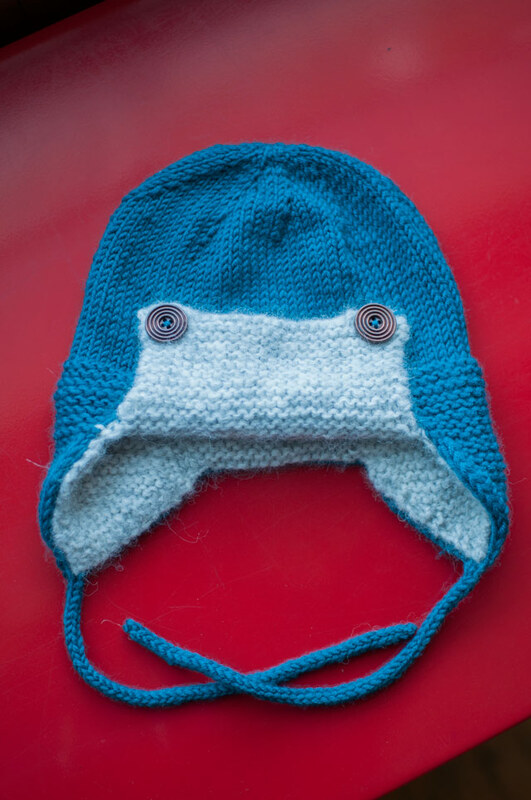 I wonder if he would like a hat like this.